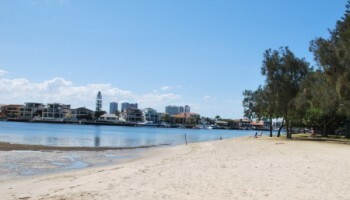 Rainbow Bay is situated at the southern end of the Gold Coast, near Coolangatta, and is the perfect spot to enjoy a peaceful and relaxing day with your Gold Coast Kids. 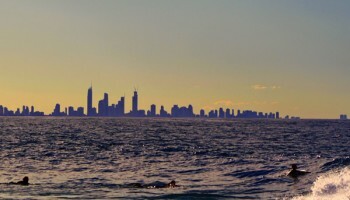 Rainbow Bay beach has a flagged area and a Lifeguard tower, making it a safe beach to take your Gold Coast Kids to. Drinking fountains, beach showers and male and female toilets are provided for your convenience. There are also some great picnic tables and gas BBQs for self-catering, or the Surf Club has some good meal options. Free car parking is readily available. Rainbow Bay is a well-liked swimming beach, due to its sheltered location and generally small waves. There is a grassy foreshore reserve behind Rainbow Bay Beach. An unfenced play area under shade sails which includes swings and a sandpit is situated in this area, along with a great walking path and bikeway. 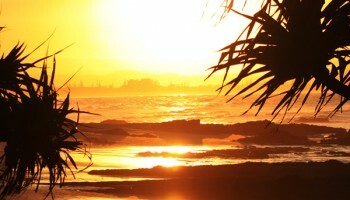 At the south end of Rainbow Bay is Snapper Rocks, which is a popular fishing area.